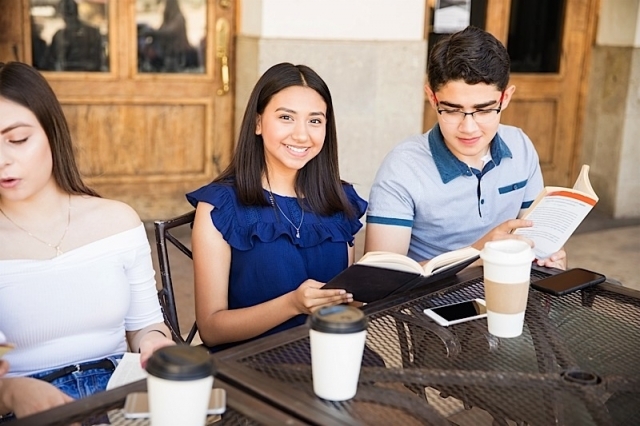 The New American reports that Congregation Beth Hatikval, a synagogue in Summit, New Jersey, has created and will host a gathering spot called Café Q every third Sunday as a safe space for LGBTQ teens in the town and surrounding areas to meet and hang out. Cafe Q is a great concept and a needed opportunity for socializing and eventual networking. But what I found upsetting was the fact that all three teenagers at the table had their cell phones front-and-center at the table. Maybe it should be a phone-free zone?